Mix cream cheese, Parmesan cheese, milk, butter, white pepper and garlic powder in medium saucepan; cook on low heat until cream cheese is melted and mixture is well blended. Toss with hot fettuccine. Sprinkle with nutmeg. 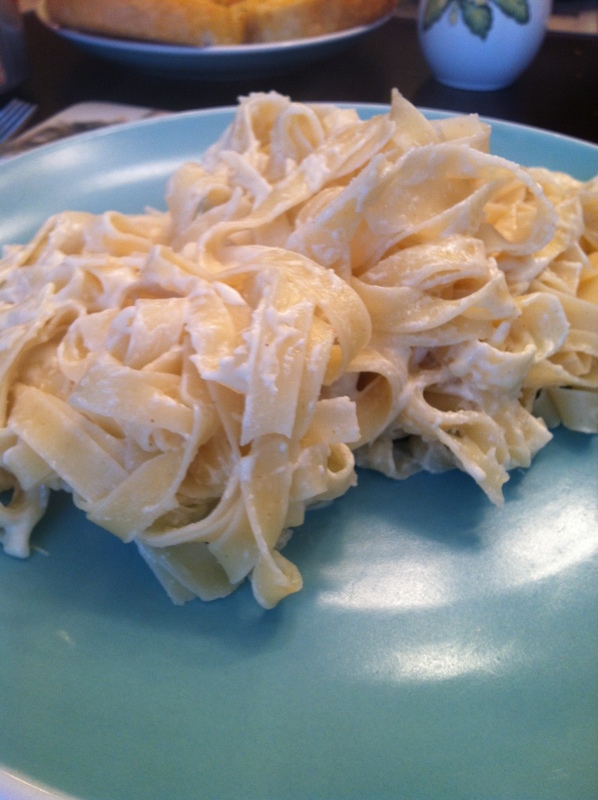 Personal Review: I am like a fettuccine alfredo addict! Seriously. It is my absolute favorite pasta, ever. I have been making this recipe since I was a junior in college in my very first apartment! It’s not necessarily “the best” alfredo sauce I’ve ever had, but I like it because it’s an easy meal to put together on a weeknight. I always add a smidge more parmesan cheese to this recipe, and I never measure out the garlic powder or white pepper. And I omit the nutmeg. I highly recommend adding more parmesan cheese than the directions call for. Since this recipe doesn’t use whipping cream, the extra cheese adds much more flavor to the sauce. Left a comment on this thing and it ate it I guess. Made the recipe this past weekend and used extra Parmesan and it was a hit on wheat egg noodles with side dish of stir fried carrots and summer squash with extra Parmesan sprinkled on top and then roasted garlic with olive oil and french loaf bread cut up for dipping. My husband and Mom enjoyed and tonight we will eat leftovers with deep fried okra puff patties using okra from our garden last year made into a batter after pureeing instead dicing. Yay! This makes me sooo happy! I’m thrilled you and your family enjoyed it!